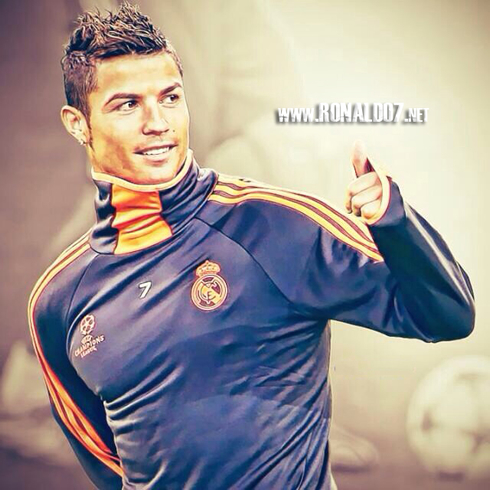 ﻿ Cristiano Ronaldo: "I'm very happy in Madrid... I'm at home!" 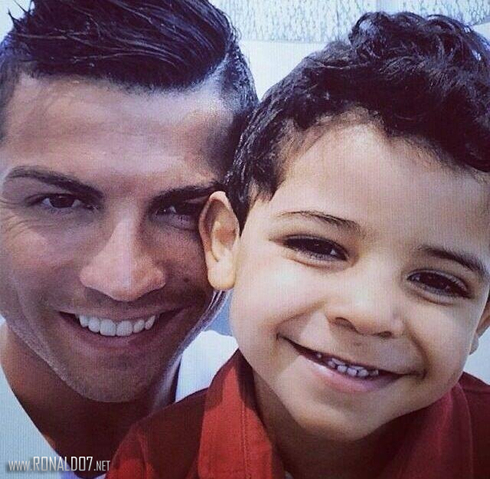 20.12.2013 » Cristiano Ronaldo: "I'm very happy in Madrid... I'm at home!" Cristiano Ronaldo granted an interview to talkSport earlier this week and revealed he feels completely at home in Real Madrid. The Portuguese star also expressed his confidence on Gareth Bale's talent and that he deeply admires both Carlo Ancelotti and Zinedine Zidane. In a brief talk with UK's sports radio station "talkSport", Cristiano Ronaldo didn't hide his satisfaction for having recently signed a long-term contract with Real Madrid and admitted that he's extremely pleased to be living and playing in the Spanish capital. The 28-year old forward has also noted he has high expectations for what Gareth Bale can bring to the team in the months and years ahead, justifying the Welshman's slow start due to the injury problems he faced in the early weeks of the season. Valencia will host Real Madrid for La Liga this next Sunday, in what will be the last game of 2013 for the Merengues. Both Cristiano Ronaldo and Bale are expected to be featured on Carlo Ancelotti's line-up for this match. After serving his last game of suspension in the Copa del Rey 2nd leg fixture in mid-week against Olimpic Xativa, Cristiano Ronaldo is already looking forward for Real Madrid next fixture against Valencia, scheduled for next Sunday (December 22). Before that, the former Manchester United has issued an interview to "talkSport" on which he approached several topics such as his future at the club, Gareth Bale's adaptation to Real Madrid and how he has been enjoying the experience of being coached by both Carlo Ancelotti and Zinedine Zidane. Ronaldo: "One of the big advantages of having someone like Zinedine Zidane on your coaching staff is that it's extremely easy for him to pass his experience and knowledge to the younger players at the club. It's simply fantastic to have him with us. I'm absolutely delighted to have the chance to work closely with Zidane on a daily basis, because as we all know, he has been a fantastic football player! It's perfect for me as I like being surrounded by the best...", stated the 28-year old forward when assessing the benefits of being coached by Zidane. As for the team's main coach Carlo Ancelotti, Ronaldo had nothing but praises as well. CR7: "Not only he's a fantastic manager, but he's also a fantastic person. Just like Zidane, he has been a high caliber football player in the past and that grants him with more than enough experience in oder to know how to deal with players from different surroundings. I'm very glad to be coached by him and I've already learnt a lot from both him and his coaching staff", pointed out Ronaldo, who has already scored 68 goals for both Portugal and Real Madrid in the 2013 calendar year, with still only game left before we enter 2014. One of the hottest topics in football during the past summer was Gareth Bale leaving Tottenham to sign for Real Madrid. The Welsh winger struggled a bit to make an impact during his first weeks at the club, but now that he has settled, his contribution has also increased in an impressive way. That doesn't seem to surprise Ronaldo though, who believes that the 24-year old winger will be more than capable of bringing a lot of joy to the Merengues' fans in the times ahead. Ronaldo: "He had a few bumps during his first steps here, mainly because of injuries and small problems, which is perfectly normal since he had no pre-season. I now see him in perfect conditions though and definitely a lot more integrated in the team. He's a fantastic player and I expect him to help us winning many titles in the future", remarked the Portuguese superstar. Lastly, Ronaldo talked about his long-term bond with the club, but also pointed out that he doesn't know if he'll finish his career in Real Madrid, since we're still very far from that moment to happen. CR7: "I'm very happy in Madrid, otherwise I wouldn't have signed a new contract. This is my home! I still don't know where I'll be finishing my football career, but all I can say now is that I'm very proud and happy for playing here", outlined Ronaldo as he concluded his interview to "talkSport". 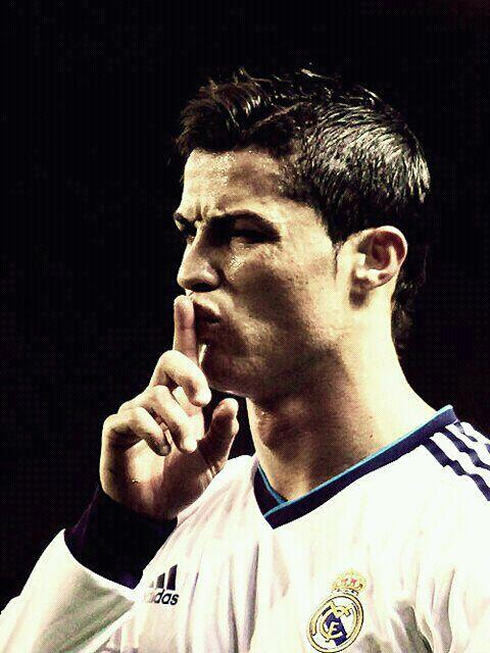 Cristiano Ronaldo next game will be for Real Madrid, against Valencia for La Liga, this next Sunday (December 22, 2013). You can watch Juventus live stream, Valencia vs Real Madrid, Getafe vs Barça, Man Utd vs West Ham and Fulham vs Man City, all matches provided from our live streaming section.